Home to 182 inviting, spotless guest rooms with hard-to-leave Sweet Beds and rejuvenating en suite power showers, our affordable Bristol hotel puts on a hearty breakfast spread each morning with almost endless cooked and continental combinations. ibis Bristol Centre's busy bar also boasts a beautiful outdoor terrace overlooking Millennium Square: just perfect for a spot of people-watching with a glass of something cold and fizzy in hand. Our choice spot in one of Bristol's most fashionable areas allows you to explore with ease: historical attractions, fantastic shopping and the At-Bristol Science Centre are all within manageable walking distances. 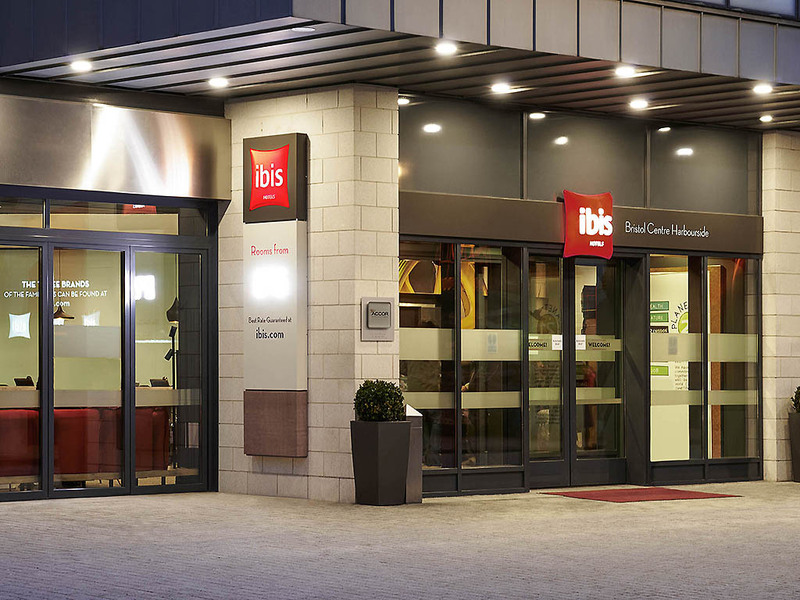 In keeping with its emerging, modernised neighbourhood, ibis Bristol Centre is decked out with bright décor, a stylish restaurant and a 24hr front desk for around-the-clock convenience.